I learnt a few important things during the West Highland Way run this weekend which I won't forget soon. These may make more sense after reading what unfolded throughout. My friends, family and running community are nothing short of amazing, and accepting help is ok sometimes. THANK YOU to all those who kept me going and to every single donor. You were all part of this and it was through and through a team event. No matter how much you want such challenges to run smoothly, no matter how much running experience you have, they seldom do and you just have to accept the difficulties. Don't give in because of perfectionism. I'm reminded of a quote from The Rules of Being Human "A lesson is repeated until learned. It is presented to you in various forms until you learn it". 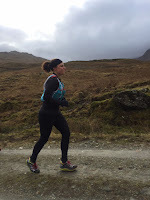 I'd had the idea to run a midwinter West Highland Way earlier this year, and it crystalised after I started working for Link Community Development and visited Ethiopia, seeing the struggles that children go through to access a decent education. I realised I hadn't raised money through my running for a few years and it all seemed to fit together for this winter, whilst Ethiopia was still fresh in my mind to talk to people about. The lovely Murdo McEwan said I might be the first woman to complete this, and whilst I hadn't been aware of this we thought it would be a good hook to raise the profile of Link's work. I wasn't concerned about following the 'rules' of midwinter West Highland Way attempts - I just wanted to cover the miles as close to midwinter as I could - but running north to south seemed a great idea to change things up from always racing south to north, plus finishing in the central belt closer to everyone's homes was an attractive proposition. 2) Definitely a supported run: two crews for the day: Giles, Jamie and several of our Trustees Alasdair and Mark through the night, switching to my Dad, Julie and Liz from Tyndrum/Beinglas. 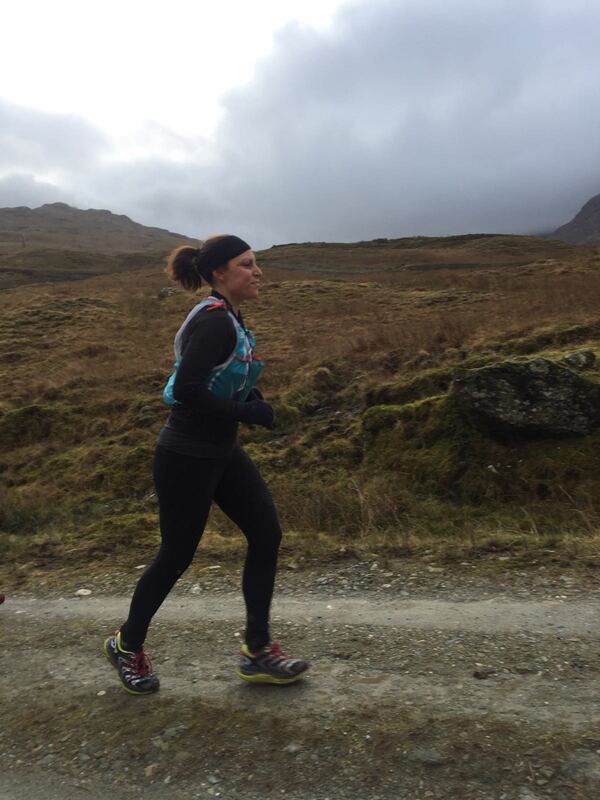 Support runners and amazing cheerleaders Lorna, Carol, Dawn, Matt, Gavin for the final miles from Balmaha. 3) Strategy: stay present, no pace pressure, no racing, take things section by section. When feeling rough, eat and drink. I didn't expect this to be the hardest part. Jamie was kindly running with me for the night section, and we set off from Lochaber Leisure Centre - the finish line of the West Highland Way Race - just after 9pm. 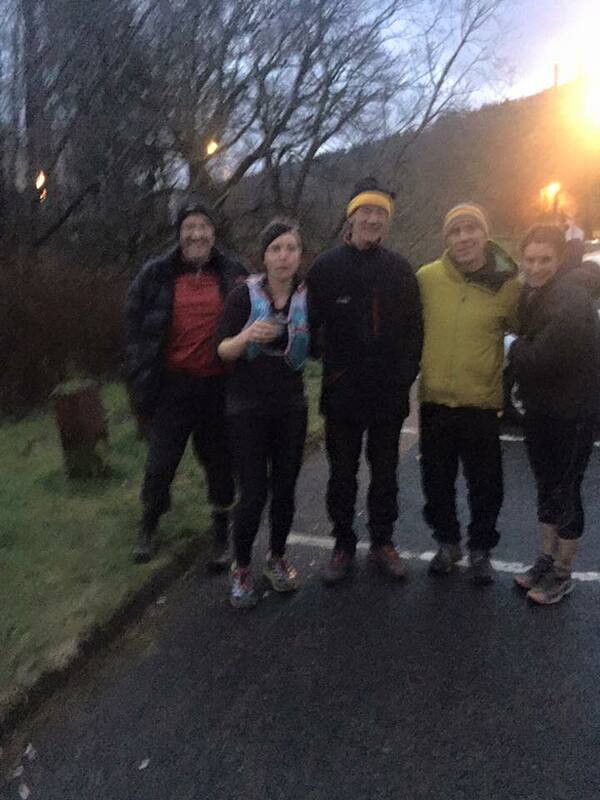 We felt great - fresh legs, a bright moon, very light rain but mild temps and lots to discuss. We hiked/jogged the few miles up above Fort William, with Ben Nevis looming to our left beneath a starry night sky. The West Highland Way follows the fire road to a left turn onto rolling single track trail, 7 miles total from Fort William to Lundavra. I'd known about this section of the trail being closed for forestry works but wanted to see if we could get through - failing this we could still climb back up to the fire road and take the diversion (the signs indicated following the road 7.5km would take us to Lundavra). Around 1.5 miles down the trail we came up against a heap of felled trees but this looked passable to trail beyond. Clambering over, we were faced with ankle-deep mud with the original trail becoming unrecognisable, into a network of mud tracks created for forestry vehicles. After following what we thought would be the main track through to Lundavra for another 10 minutes or so, this ended at a muddy drop, with no trail in sight. We were so close to the road but there was no way through. In darkness and with no idea where the trail was, we decided the best plan was to retreat back to the fireroad for the diversion - demoralising though backtracking 1.5 miles at this stage was. We managed to cut up to the fire road and ran back along this to check diversion signs at the trail turning once again - with no phone signal and the very unclear forestry map on the signage we thought we'd try follow the fire road back up the way we'd just run, surely this was the 7.5km indicated in the forestry signage (returning to Fort William and along the B road would be well over 10km). 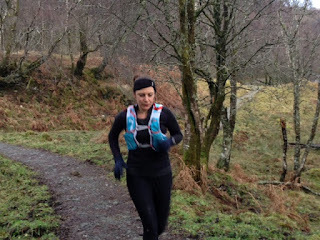 We ran along the fire road for a second time, another mile or so, but yet again this ended in a dead end, a steep drop down to the river - with no trail or other road in sight and no sensible option rather than to return back to Fort William. Still no phone signal and a sense of dread rising inside. We were stressed and haemorraging time - this could end the run. Thankfully, halfway down the hill back to town we found a few signal bars and got through to Giles, who had been waiting in Lundavra for nearly 3 hours now (this split was scheduled to take 1.5 hours). He drove to Braveheart car park at the bottom of the hill and met us. We had no options to make this a 'clean' run now - we'd now run nearly 12.5 miles and to follow the B road would take us up to a crazy 19 miles for what should have been just 7 miles, making the 95 mile plan into a 107 mile run and putting the entire thing at risk. I didn't want to callit a night and restart in the morning as this would mess logistics up for crew and be extremely difficult mentally. So given the extra miles we'd already covered we jumped in the car and drove to Lundavra, restarting the run from there, 1 hour 40 minutes behind schedule. I struggled with the stress of this for a while, and got pretty cold in the meantime from all the hanging about discussing what to do - but after a few miles Jamie and I got back into our stride across the rocky Larig Mor. It ended up a strong and steady section give or take one fall in which I managed to rip my lovely new all weather tights. We reached Kinlochleven in 1.34, making up a little time. A quick stop for a falafel sandwich and on we went, hiking the climb out of the village. It was chilly up towards the Devil's Staircase, with a cold wind picking up. But nothing compared to the winter weather we could have had - it didn't drop below freezing at all and the moon helped light the trail. My favourite part of the West Highland Way, this was special to run at night, and descending the Devil wasn't as dicey as I'd imagined. Down to Altnafeadh and a quick drink and bite of pasta from Giles before a steady few miles up to Glencoe ski centre. I felt strong again and wondered how much more time I could make up. I didn't ever think I'd be struggling to make a sub-24 hour run but the morning's mishaps had seriously put that into question. Section by section, stay present, I remind myself. Jamie stopped with Giles at Glencoe, having given me fantastic company for most of the night. I left here after more pasta, to experience Rannoch Moor at night and on my own for the very first time. I still felt good, watch reading over 30 miles in, glad I was on this section when still relatively fresh - the boulders and their shadows could easily take on human forms to a tired mind. The coldest section for sure, there was a vicious headwind at points and I allowed myself a few 30 second hike breaks before spotting Giles running up towards me from Victoria Bridge. A quick sock and shoe change (Stance socks - absolutely worth the money!) and off again down the road to Inveroran. Jamie joined again for a slog up Jelly Baby Hill and we'd just been chatting about Murdo when we found a plastic wallet full of jelly babies and lovely wishes. He'd been here on schedule just a few hours earlier! Amazing kindness from the King of JBH. Bridge of Orchy was a good milestone, one of our Trustees Mark Beaumont (not that one) was due to join on his MTB to cycle with me over to Tyndrum. Quick eats and bottle change and off we went. A little headwind again and a lot of standing water on this section but it unfolded fairly smoothly. Down into Tyndrum - and hello to Murdo, who popped up in person, then my lovely Dad, Giles and Jamie. Mark sent me on my way with a shot of his home ground Ethiopian coffee (really mastering the middle class running nutrition today) and I had a few spoons of oats and was able to take off my headtorch for the first time - absolute joy! Then off solo to Auchtertyre. I have to say this was one of the highlights - a bruised red and purple winter sky dominating the landscape ahead, and enjoying the beautiful single track trail next to the river for a few miles. Into Auchtertyre I stopped for another 5 minutes for more oats - ready for a long section of rolling hills to Beinglas Farm, and another milestone where I'd see Julie and Liz for the first time and have running company until the finish. Murdo joined me to hike up the first major hill, then I soaked up the solitude and some iPod time until Jamie met me a mile or so before Carmyle Cottage. The Crianlarich hills and a windy coo poo alley had my quads complaining, and by Carmyle I had a few more spoons of oats and some of the most incredible tasting ginger beer, which became coke replacement for the day. Giles ran with me for 4 miles until Beinglas, and pepped me up by reading out messages on Facebook in funny accents, and stopping to film at the most unflattering angles possible. We had a giggle and hiked the little hills to reach Beinglas campsite - stocking up point. I wouldn't see any crew for 14 tough miles around the Loch Lomond shore and through the remote Inversnaid. 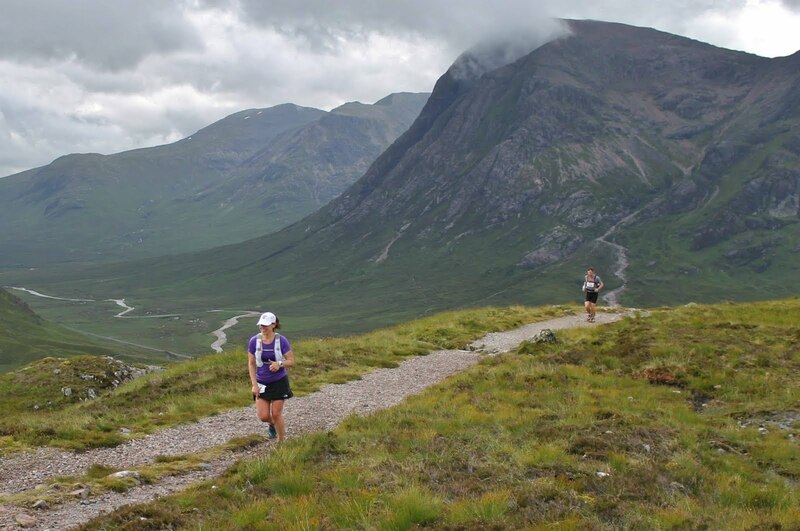 My triathlete friend Liz joined me for the section - her first run on the West Highland Way after crewing for me in the summer, and on probably the most technical terrain - doing a cracking job of chatting now and again and setting the pace. 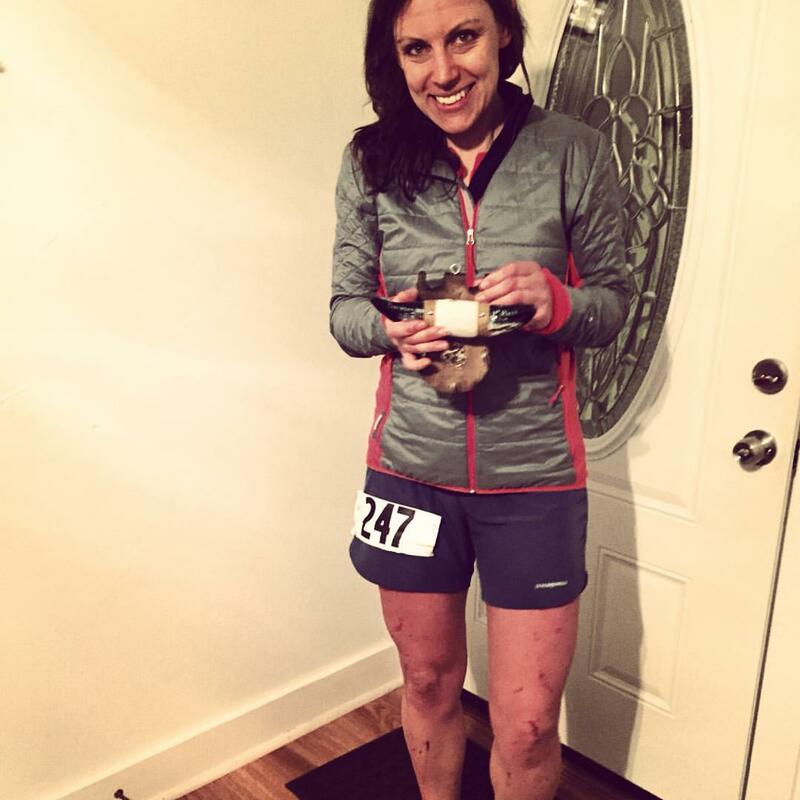 Her chat of starting pro triathlete training of 3 sessions a day actually made me glad to just be running! More mental calculus - if I can manage Beinglas to Inversnaid in under 2 hours, then same again to Rowardennan then I can bank a little more time. We reached Inversnaid Hotel in around 1.45 and stopped for 5 minutes for flapjack and water before heading up the rollercoaster trail to Rowardennan. Quite a bit of walking here but still reached the car park and Dad/Julie by 14.40 - 3 hours 30 minutes after leaving Beinglas. A little time in bank, I found a spot for a total clothes/shoe change (something I never ususally do in races) and was presented with the most delicious-tasting veggie burger Dad got from the hotel. 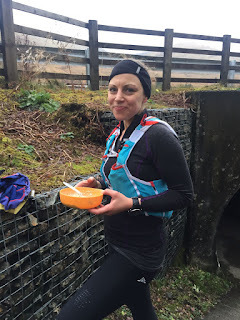 I didn't realise how hungry I was and wolfed half of it down before heading out with Julie, for her turn to support run - and first West Highland Way experience also. Things were starting to hurt and a marathon to go didn't seem insubstantial. Just a few miles down the trail and John and Katrina Kynaston appear with a few cheers, turning to run with us back to Balmaha - and all of a sudden we had a little team on the go which helped the time and miles melt away. I was surprised at how messy my quads felt, really tight on the downhills. 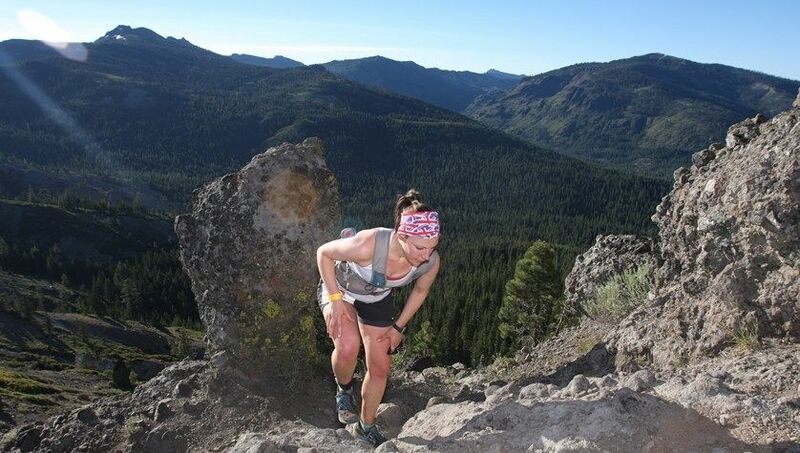 The lack of formal training and less mileage since CCC and UROC was showing. 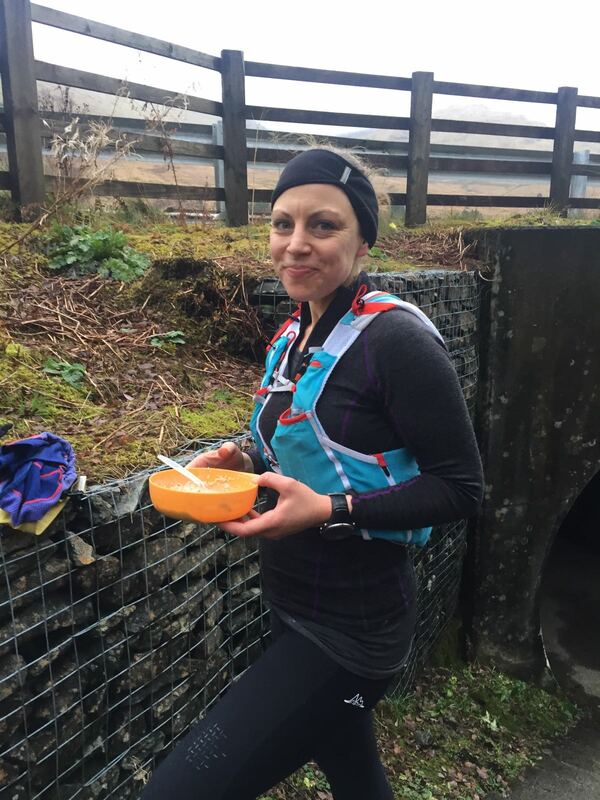 Balmaha - any ultra runner will know the feeling of anticipating arrival to a checkpoint for so long, just to arrive and feel there is still so far to go. I'd felt better at this stage in races where I was running a lot faster. Despite trying to run in the moment, the mental calculus of trying to finish sub 24 after such a rocky start was exhausting. Giles had messaged me at one point to say I should aim to finish before 10pm and not 9pm, given how the extra mileage would balance out the sub-24. On one hand I wanted it to be a 'clean' sub-24 for the sake of Link's profile and an achievement not to be repeated, but on the other I didn't want to care about time at all. Running into the carpark, we were met by the incredible cheer of Dawn, Lorna, Carol, Dad, Liz and Giles, all set with another veggie burger and ginger beer. Another few bites (still so good, one plus for this stage in the run!) and off with lovely Dawn up and over Conic Hill. I've barely run this direction so forgot how steep it was from the Balmaha side. Those deep steps. My quads did not like, and I had zero chat for Dawn but that fortunately didn't phase her cheeriness. Near the top, I stopped suddenly, sensing a massive shape centre trail ahead, and Dawn very nearly ran into the rear end of a large highland cow. It followed her instruction to get off the trail and only later did she say how terrified she is of them - amazing effort. After a caffeine gel I regained some chat and the few miles down and over the forestry track to Drymen forest carpark seemed more bearable (though I was still having flashbacks to forestry nightmares of last night!). It was absolutely amazing here - a peaceful forest with barn owls calling, a special place to be in the dark and reminding me of Mum and her love of owls. My primary school friend Judy appeared with her family along with all the others from Balmaha. Yet more ginger beer and another gel for the road. Next I would run with Lorna, a scary prospect as she had goals for me. We left Drymen round 7pm. Over the field and onto the rollercoaster road out of the village, we walked the hills and ran the flats and downs, although she tried a few tricks such as "this is actually flat, the hill you can see is way in the distance" - I wasn't convinced.We had 6 miles together, and a few miles in Gavin and Matt appeared from nowhere - another lovely surprise which helped my chat and pace a little. We reach the Beech Tree and a small crowd of happy faces. I can't stop or think about what I need, as my feet and quads are in bits, I'm feeling emotional and I know I won't make sub 24 and Milngavie by 9pm, although by this point my watch has gone crazy with the detouring and is registering over 100 miles. A swig of ginger beer and off again, this time with Carol Martin, who does an amazing job in picking up from Lorna's mantel and keeping my mind occupied with chat. 2 miles to the end of the flat cycle path, then a right turn back on to the trail and gentle uphill to Carbeth. Then just 4 miles to go. Giles, Jamie, Dawn and the lovely 'fluffies', Jamie's dogs, appear again. I had to stop for a few tears with Giles to get some of this out before the finish. Pirate (one fluffy) manages to make us giggle by trying to lead the way and turn right back to their cottage instead of straight onto Milngavie. Probably wondering what the hell the humans were up to. A few more miles of real discomfort in the feet and quads and we were there - to the most incredible welcoming committee in the town centre. We all ran from the bridge to the railway tunnel together, and it was over. The time was 9.35pm (thanks Helen and John! And no thanks to Suunto, which died three miles back! ), so a time of 24 hours 35 minutes for a run distance of around 101 miles. See here for the confusing data (if anyone into data wants to try work out my actual time please go ahead, my post-run brain is barely working). A haze of group hugs, a few more tears and prosecco and pizza appeared from nowhere (thanks Lorna and Kate). Unfortunately, as I'd anticipated, within a few minutes I had the dizziness and sickness I'd had after June's race and had to retreat behind the car where I felt like passing out. Not the most social of finishes, but I hope everyone there knew I wanted it to be otherwise. Giles bundles me in the car and let's just say it was lucky Andy donated some sick bags for the drive to my brother and sister in law's in Bridge of Weir. So I mentioned learning: perhaps reccying forestry works should be part of that :-) It was certainly an adventure. Doing something like this - although you wonder again and again why you put yourself up for such a battering - certainly gives you an appreciation of everything after the event. Especially people and what matters. Thank you again to all those who've given and been part of this, either in person or from a distance. 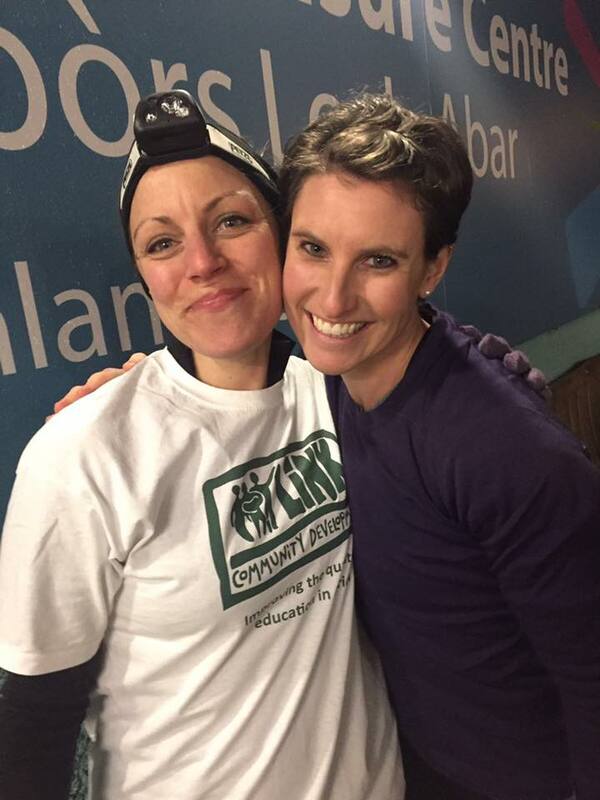 So far our team has raised over £3,400 for Link's work in Africa to benefit children, especially girls, in the most remote communities who cannot access education or opportunities as we can - read more about it here. If you haven't donated or can pass the Virgin Money Giving link on, please do. Perhaps we can make £4,000 by Christmas.